The general public is invited to participate in the 2018 International Arts and Calligraphy workshop in Minna, Niger State, Nigeria. The event is scheduled to hold from February 23 to March 9, 2018. Theme of the workshop: Towards Tertiary Tuition of Islamic Arts and Calligraphy: Prospects for the Nigerian Socio – Economy. Title of Exhibition: Confluence of two Visual Arts. 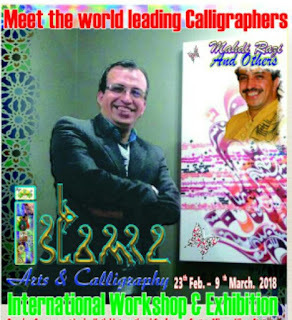 Activities: The workshop session will be handled by international renowned visual experts and it will feature the following activities: vIntensive lessons vCalligraphy and Persian Rug making by visiting world renowned experts vExhibition of works on both Islamic Arts and Calligraphy and conventional visual Arts. 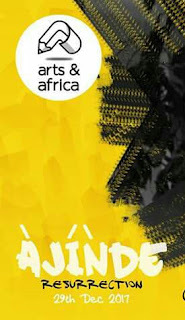 Arts and Africa and 16 by 16 will tomorrow, 29 December 2019, present Ajinde (resurrection) event to mark a huge milestone in Arts and Africa's journey to becoming one of the foremost publishers in Africa as it plans to reestablish Arts and Africa as a journal interested in chronicling experiences and telling stories, particularly from young people. At the relaunch event holding at 16 by 16 between 5pm-10pm., Arts and Africa will be unveiling two books published by it: Monochrome Lagos’s Photobook Vol II and Numb Tantrums, a chapbook by Yakeeb, illustrated by Aàdesokan. Monochrome Lagos features amazing photography from Lagos alongside well-curated and edited literature from talented individuals. Numb Tantrums is a new authentic and rich experimental poetry. Other exciting lineups for this event include poetry by Chika Jones, music performances, spoken word and live art. You can purchase your tickets online for NGN1,500 here. This event is open to people of all ages. 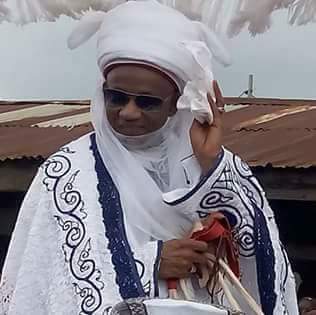 A 30-Man horse crew from the Etsu Nupe and Chairman, Niger State Council of Traditional Rulers, Alhaji Yahaya Abubakar will participate in the 2017 Calabar Festival, which begins tomorrow Tuesday, December 26, in Calabar, Cross River state. Gabe Onah, Chairman of the Carnival Commission while announcing this said not less than 26 states will take part in the carnival reports The Nation. The carnival, touted at the biggest street carnival in Africa, will host about 2 million tourist from Nigeria and abroad. The chairman noted that participants from states and local governments would display their rich cultural content and other unique aspects of their states and cultures. He observed that Cultures are dynamic, and efforts have been made over the years to develop art and craft and take them to the next level at Calabar carnivals. The theme of this year festival is tagged `Migration’. 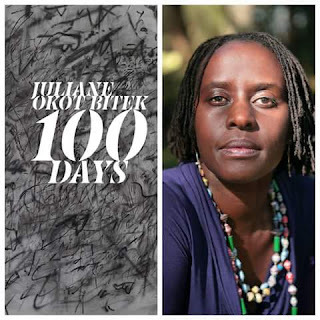 Juliane Okot Bitek’s poetry collection “100 Days” published by the University of Alberta Press, 2016, has been named winner of the 2017 Glenna Luschei Prize of African Poetry. 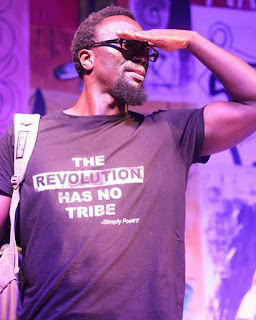 The prize, administered by the African Poetry Book Fund, annually awards $1,000 to a book of poetry by an African writer published the previous year. Applications for participation in the Films by African Youth (FAY) Workshop and 7th edition of the Luxor African Film Festival have commenced. 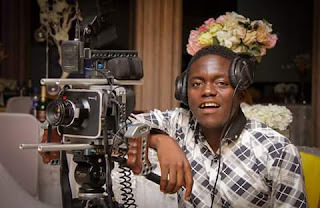 Films by African Youth (FAY) is a 10-day hands-on film training programme, committed to enable young talented African filmmakers who have a voice, find ways to create high quality productions in low budget situations. 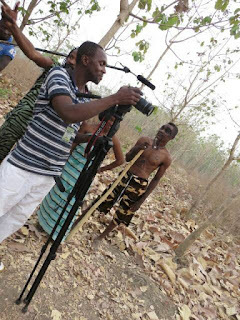 The programme is handled by professional filmmakers working at top levels within the African film industry. These professionals will not only teach, they will also serve as mentors and role models to the young generations who want to express issues that matter to them but might be feeling limited for lack of support, funds and mentorship. Dike Chukwumerije Reviews Abuja’s New Creative Spirit That Is Lifting The City’s Soul. ABUJA ON THE MOVE - A Review of the Creative Sector in Abuja. From its days of cultural soullessness – caricatured as the stereotypical artificial city, made only of glass, concrete and migrant workers – Abuja has come a long way. For proof of this, look to the increasingly choked calendar of its cultural enthusiast. In recent months, this calendar has been crammed with poetry shows, musicals, theatre productions and cultural festivals, all healthy signs of a creative sector experiencing a boom. 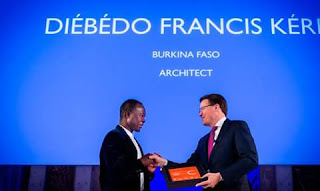 ·Nigeria and Egypt top entries from Africa. ·Rising number of entries demonstrates increasing global acceptance of the Prize. Call For Application | 2018 British Council New International Voices Residency Programme In London. Applications for the 2018 New International Voices residency programme have commenced The British Council, LIFT and Battersea Arts Centre (BAC) has spaces for two West African artists to participate in the 2018 British Council New International Voices Residency, London. Applicants must be currently living and working in either Ghana, Nigeria, Senegal or Sierra Leone. The programme which is fully funded will support a new generation of international artists who are in the early stages of their professional career. About the Programme: Based at Battersea Arts Centre, the residency is a chance for individual West African artists to test out new ideas, to challenge the way they work, and create new international networks. Through a communal living environment, artists will have opportunities to share, reflect and develop practice with peers. They will also be part of an exciting LIFT festival programme and can attend a number of the performances. I was Inspired by the Qur’an- Ibraheem Dooba, Author Of Rhymes From Africa. 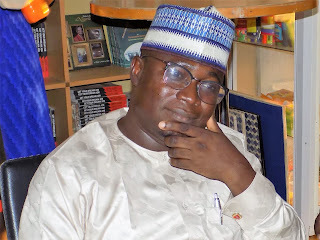 The Arts-Muse Fair Blog in collaboration with AMAB Books last weekend in Minna, Niger state hosted a book reading and signing of Dr. Ibraheem Dooba’s new book, Rhymes From Africa. Paul Liam, Poet, Essayist, Literary Columnist and Critic who attended the book chat writes about his impression of the event. Yesterday evening, writers and lovers of book gathered at AMAB Bookshop, Minna to listen to Dr Ibraheem Dooba read from his new collection of Children poetry book, “Rhymes From Africa” published by AMAB Books. The Book chat and signing was organised by AMAB Books and the Arts-Muse Fair News Blog where eminent Nigerian writers in Minna joined the author to discuss the 39- page book which presents the lustrous beauty of Africa’s flora and fauna in rhythmic verses. The Curator of the Arts-Muse News Blog, Aminu S Muhammad, who opened the book discussion with a welcome address explained that the aim of the reading session was to celebrate the arrival of the new book and to acquaint readers with the author.